THE railway movement is mourning the death of Sir William McAlpine who died on March 4 after a short illness, at the age of 82. Director of the McAlpine construction firm, Sir William (known to most as Bill) was a great supporter of the railways, particularly the preservation movement. He became the saviour of A3 No. 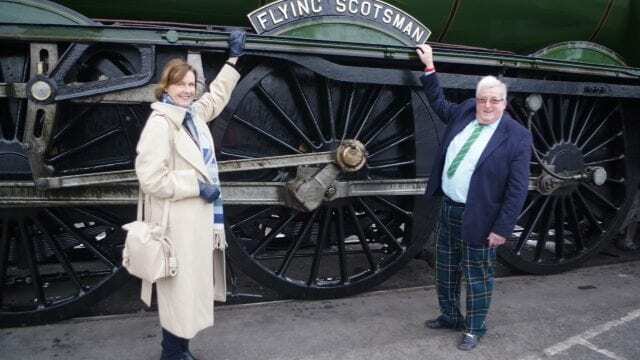 4472 Flying Scotsman, which he bought for £25,000, after the loco had been impounded at San Francisco docks in 1973 when financial problems during its tour of North America led to the bankruptcy of previous owner Alan Pegler. William Hepburn McAlpine was born at the family owned-Dorchester Hotel on January 12, 1936, the eldest son of Sir Edwin McAlpine and Ella Mary Gardner Garnett. Educated at the family home in Surrey and also at Charterhouse School, he left at 16 to become an apprentice engineer in the family construction firm founded by his great-grandfather, Robert McAlpine (‘Concrete Bob’). He worked at the depot in Hayes in Middlesex, which also housed the McAlpine’s industrial locomotive and wagon fleet. During a discussion with a foreman, he learned that the company’s last steam locomotive was going to be scrapped, so had Hudswell Clarke 0-6-0ST No. 31 transferred to his home at Fawley Hill. That led to laying a short section of track and the start of the construction of a remarkable private railway that is nearly a mile long and contains a 1-in-13 gradient. Over the years, he added the GER railway station from Somersham, a Midland Railway signalbox from Shobnall Maltings near Burton upon Trent and a footbridge from Brading, Isle of Wight. Bitten by the steam bug, Sir William, along with MP John Gretton, bought GWR 4-6-0 No. 4079 Pendennis Castle, which was based at Market Overton, Rutland, later to be joined by 4472. In the 1970s, Sir William bought a controlling interest in the loco shed and site at Carnforth (10A) which was being run as Steamtown – the project founded by Dr Peter Beet – and later negotiated its sale by BR. In 1985, Sir William founded the Railway Heritage Trust (RHT) and was its chairman since inception. The trust was set up to recognise and acknowledge Britain’s wonderful and diverse railway architecture, providing funding for the restoration and preservation of some of these architectural gems. In 2006, to mark his 21 years at the helm of the RHT, Class 60 No. 60008 was named after him at King’s Cross station. Over the intervening years, Sir William accepted numerous invitations to be chairman, president or patron of many heritage railways including the Swanage, Romney, Hythe & Dymchurch, Chinnor & Princes Risborough, Dart Valley Railway, Greensand Railway Museum Trust and many, many more. He was also chairman of the industry newspaper Railnews which he bought with former BR director Cyril Bleasdale and BR PR chief, Alan Marshall. Sir William is survived by his second wife Judith, whom he married in 2004 at the station on his private railway, and by two children, Andrew and Lucinda, from his first marriage to Jill Benton Jones. 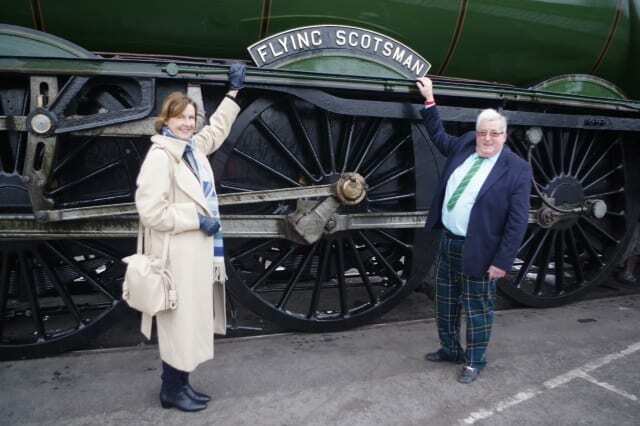 Sir William was a colossus in the field of railways and his guidance, support, knowledge and enthusiasm to all aspects of railway heritage will be greatly missed. Extended tributes will appear in the April issue of The Railway Magazine, on sale April 4 and Heritage Railway issue 240, on sale April 6.